Lettucedillas for low carb diet – Just For Sybarites! So you are on a low carb diet? That can be a pain! Here’s an easy idea on something delicious.. Lettucedillas! 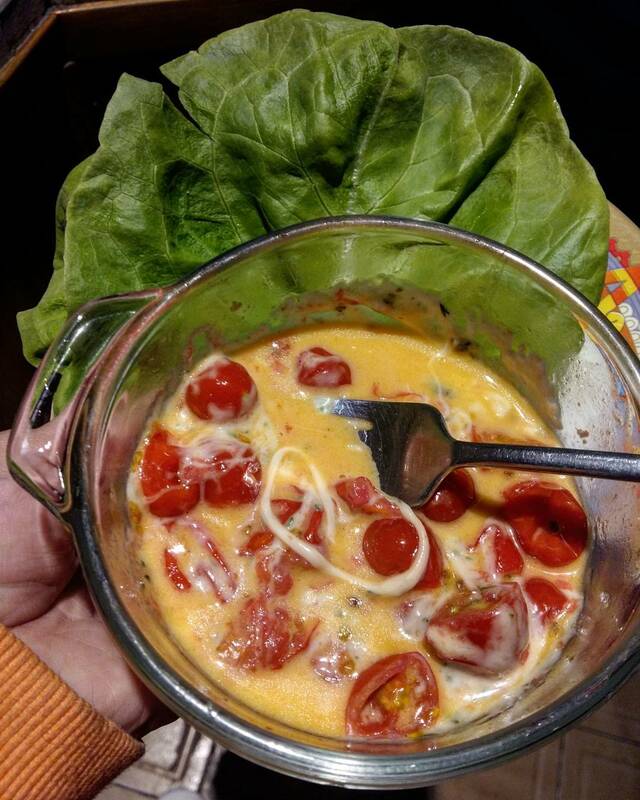 Drop in a bowl some Chihuahua, Oaxaca or Manchego cheese (any cheese that melts will do), add a bunch of cherry tomatoes cut in half, some green chili sliced and aromatic herbs (I used epazote but since its hard to get you can use basil or oregano). Into the microwave por a minute and voilá. The trick consists in using lettuce instead of tortillas, I recommend using butter lettuce since the shape works better for this use. Enjoy!